The Account Management Service is designed to help University of Missouri students, faculty, staff, and guests create and manage their computing accounts and passwords. Your account with the University of Missouri is called your Username (also referred to as a Single Sign-On or SSO ID) and is the primary form of authentication to access most MU technology resources. You are assigned a username when you enroll as a student or begin employment with the University. All University faculty, staff, and students are provided with a username. Your username is used for most University resources. A student username (SSO) consists of a student's initials and three random characters which ensures its uniqueness. A faculty/staff username usually consists of the employee's last name combined with initials. Account access to most University resources will expire once you no longer meet the University's eligibility requirements. See the Availability tab for eligibility requirements. Properly managing your account is one of the most basic security measures you can take. 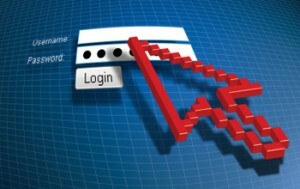 Learn more about changing or resetting your password. The Visitor's sponsoring department is responsible for the processes required to obtain Visitor access to University resources. Depending on your relationship with the University, the creation process will vary. Columbia business unit: New faculty and staff accounts are created via the new hire process. Employee number, username, and temporary password are emailed to the new hire with instructions for logging into MyHR and establishing a password. This includes Schools of Medicine, Health Professions and Nursing. MU Health Care-MUHC: staff accounts are already created via the new hire process. UMHC staff will receive their username (SSO) and password in new employee orientation. Note: Schools of Medicine, Health Professions and Nursing should see Columbia business unit. Resource accounts are primarily used for departmental mailboxes, emails and calendars. To request a resource account, contact your IT Pro.